The produce industry, still a little queasy in the wake of a 2006 E. coli outbreak that sickened more than 200 people and was blamed on contaminated California spinach, is working to avoid a repeat of that debacle. A massive product recall, accompanied by a Food and Drug Administration warning against eating the leafy vegetable, was estimated to have cost the spinach industry $100 million. A bad situation was made worse by the lack of standardized tracking between growers, shippers, wholesalers, retailers and food service distributors, which wasted precious time trying to pinpoint and isolate the source of the tainted produce. "That was a tremendous wake-up call," said Julia Stewart, public relations director for the Produce Marketing Association, a Delaware-based trade association representing almost 3,000 produce and flower supply companies. She says a uniform, industrywide, electronic tracking system was being considered before 2006, but this food safety alert provided the impetus to "move more quickly." 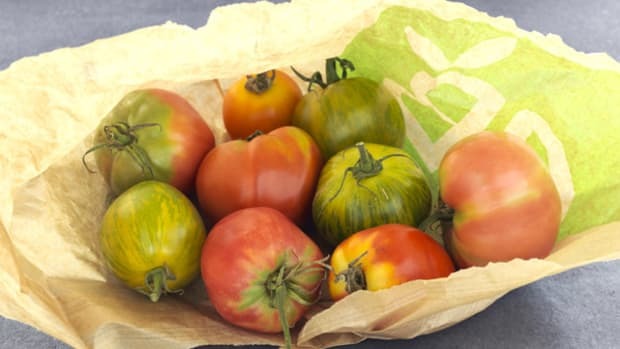 Since then three industry leaders, the PMA, Canadian PMA and United Fresh Produce Association, have harnessed the support of 54 other organizations and launched the Produce Traceability Initiative. Their goal is a standardized, machine-readable barcode on each of the estimated six billion cases of fresh fruit and vegetables circulating throughout the U.S. each year. Though most companies along the farm-to-fork supply chain have tracking systems, there&apos;s no unifying technology enabling the rapid, accurate sharing of specifics like where a lettuce grew and when it was picked, packed and shipped. Meanwhile, companies like IBM have made efforts to harness their supply chain management know-how to tracking food, testing out systems in Norway and Manitoba. Promoters of universal tracking hope achieving their 2012 target date will soften the impact of predicted outside intervention - increased FDA scrutiny and tighter controls under the Food Safety Enhancement Act now before Congress. The Wall Street Journal even noted sponsor Rep. John Dingell&apos;s success is getting the bill approved in the House on an actual bipartisan vote, which suggests the bill will likely pass Congress. Such regulatory mandates can rankle private businesses. "We wanted to be able to show the FDA and legislative bodies that we know how to run the industry," said Dan Vache, Seattle-based vice president of supply chain management at United Fresh. Though the tracking initiative is voluntary and will likely require significant financial input from members, Stewart senses that peer pressure and business reality will bring most companies on board. "The marketplace has already spoken. It wants this," she said, referring to the support so far. Vache estimates set-up costs may vary between about $100,000 and more than $1 million, depending on company size and existing systems. Looked at another way, Stewart reckons it could add 10 to 20 cents per produce case. "Think of it as an insurance policy," she said. Confidence in the American food supply has been at a low ebb of late. A resumed federal focus and frequenting local producers may help reverse the tide. Whole Foods shoppers, take heart: organic produce isn’t a total scam. Consumers may be reeling from one economic sucker punch after another but they still seem prepared to dig deep into wallets and purses in support of 'green' products. Shell Defection Just a Squall for Renewables? The world of carbonate chemistry is rocking over claims that a new kind of cement can sequester carbon.